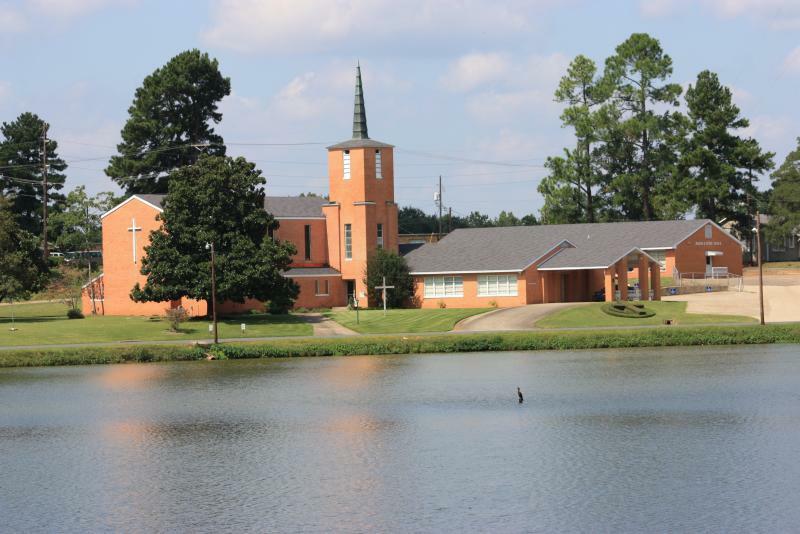 Lakeview United Methodist Church is an active, growing and friendly Methodist congregation; making disciples for Jesus Christ. A Sunday morning worship service begins at 10:30am. It is a traditional service with a mixture of contemporary and traditional Christian music. Sunday School begins at 9:30 a.m.. There are classes fr all ages and groups. Lakeview offers a wide variety of programs such as a ladies ministry, youth ministry, Vacation Bible School, children’s ministry, handbell choir and a music team that practices both tradional hymns and contemporary Christion music. Spiritual renewal opportunities for men and women and community outreach programs. The church’s Prayer Group meets every Thursday at noon. LUMC supports the work of UCAP and maintains a collection site for canned food collection, a local ecumenical Christian ministry to the needy in our community. Since 1966, the Lakeview Preschool has served the community. Children from ages three through five have benefited greatly from the half day classes. The children also participate in activities such as the St. Jude Trike-a-thon and the Junior Service League Play. Registration is open to the public. The pastor, staff, and church family invite you to come and experience the warmth and love of Christ here. The Rev. Kathy Wafer is the pastor of the Lakeview church. The office is open weekdays from 8 a.m. to noon. Lakeview is located on the corner of Lewisville Road and Lakeshore Drive in Minden; 318.377.1226. The vision for a new UM church started with the men’s group at First United Methodist Church in Minden. The Reverend Ira W. Flowers was pastor at that time. The first service was held at Westside (later Stewart) Middle School on September 9, 1951. The as yet unnamed church was served by the Reverend Harvey Williamson and the following month was designated charter membership month. The church was organized on October 7, 1951 with 72 charter members. The original choice for a site on Hwy. 80 was abandoned in favor of a site on Turner’s Pond (now Lake). Services were moved to Eastside School, closer to the new site and the church was named Lakeview. After Bobby Turner donated land to the church, a parsonage was built in 1952. A building committee took the design from a church on Mockingbird Lane and reduced it in size. Construction was underway when the first tent revival was held in August 1953. A church bazaar held that December became an annual event. On February 21, 1954, the new church was opened. The Reverends Pomeroy, Flowers, and Williamson presided over the service. An education building was soon constructed, with the members donating much of the labor and materials. It was named Faircloth Hall in memory of a member of the original planning committee, Richard Faircloth. The hall was doubled in size while the Reverend James M. Poole was pastor (1959-62). The parsonage was enlarged and remodeled in 1969, and is now the Youth House. A new parsonage was purchased in 2000.